Star Filled Candlelit Christmas Concert raised the roof! 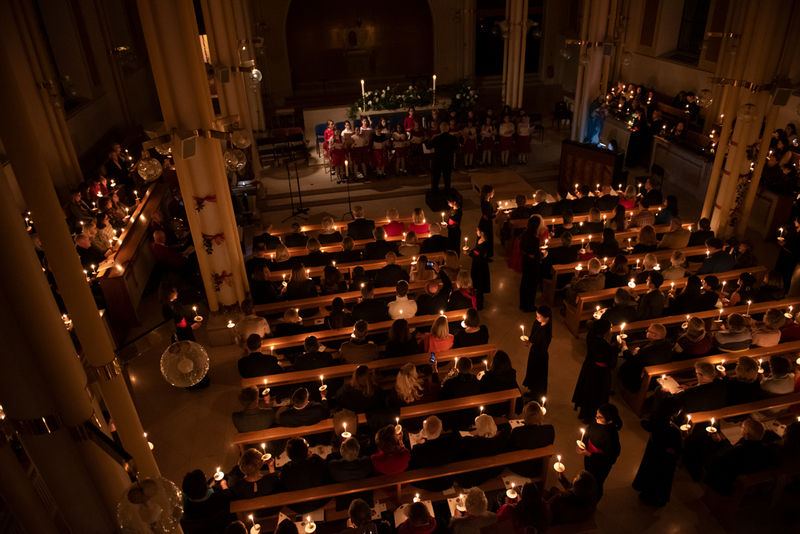 The beautiful singing of the choirs of Queen’s Gate School echoed around St Peter’s Church in Eaton Square to a packed audience when the children sang their hearts out at the annual Kids for Kids’ Candlelit Christmas Concert, sponsored by Delamere Dairy, in support of children their own age living far away in Darfur, Sudan. “The perfect way to start Christmas” was the message from friends far and wide who filled the church to capacity. From the moment the trumpets of the Thames Fanfare Brass sounded and Kiana Mottahedan’s voice floated above them in the traditional opening to every Christmas Concert “Once in Royal David’s City”, the audience was mesmerised. The angelic voices of the children’s choir from Queen’s Gate School filled the church and touched the emotions of the entire audience. “This is the most important event of our year” said Patricia Parker, Founder of Kids for Kids. “Supporters come from all over the country to support children out of sight, out of mind, and living lives we hardly dare to imagine.” Please click here to read Patricia’s Christmas message explaining why and how the gift of a goat has a major impact on the lives of families in Darfur who have so little. Celebrity Readers, Eamonn Holmes OBE, Lord Cope of Berkeley and Timothy West CBE, who are all Patrons gave a diverse range of Readings, some fun, some moving. Their talents and their time devoted to Kids for Kids is remarkable and they cannot be thanked enough. Afterwards we had a chance to mingle enjoying mince pies and mulled wine, thanks to our wonderful team of volunteers lead by Kathy Lady Orde, whilst Roy Bilham, leader of Thames Fanfare Brass, played Christmas music to send us on our way. If you would like to Donate a Goat you can do so online or by writing a cheque made out to Kids for Kids, PO Box 456 Dorking, RH4 2WS. You can also request a Gift Certificate for the Christmas Season or any Holiday and make your donation on behalf of a loved one! Goats really do change lives. Photographs and video below thanks to Antonia Pena and Sage Lancaster. Please visit us on Youtube for more videos from the concert!